Kundan offers 999.9 purest form of gold. The word "KUNDAN" meaning in Sanskrit language is Purest Form of Gold. We use Swiss Technology & world class refining technology.Each & every bar/coin is minted ensuring that the customer will receive perfectly designed product. It comes in fully-guaranteed tamper proof packs. 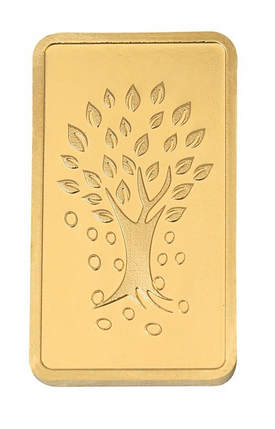 The face of each bar is branded with the kundan logo, purity & weight. Kalpataru Tree in Sanskrit means a tree that grants wishes. This tree was originally found in Swarg (Heaven). The god owned this tree, it came out of the Samudra Manthan. It had immense powers & could full fill any wish.